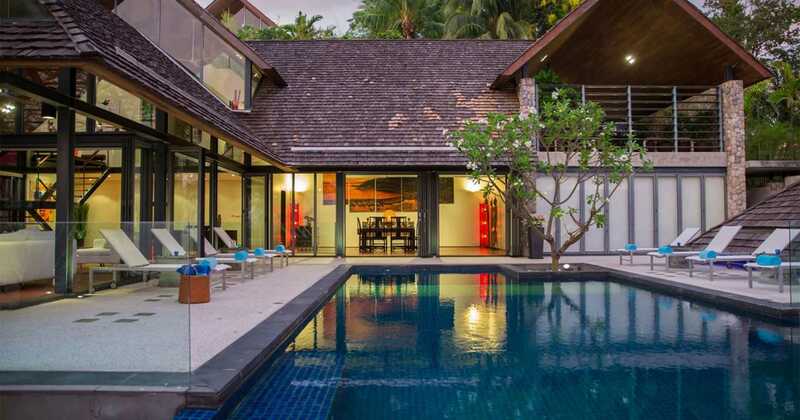 Leelavadee means ‘frangipani’ in Thai, and this villa perfectly encapsulates the sweet, summery essence of a seaside stay in Phuket. Colorful decor lends a whimsical touch to this five-star retreat, while a secret path through a flower-filled garden leads you to a private platform by the water. Lotus flowers, bright bougainvillea, coconut palms, towering bamboo – the blooms of Leelavadee go far beyond the frangipani. 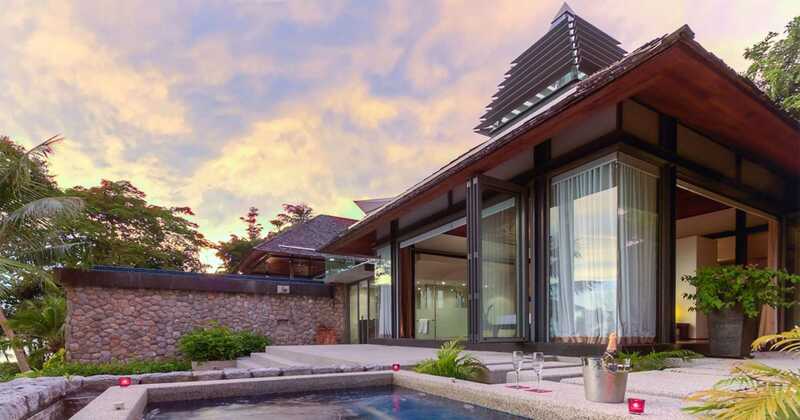 Presiding over Nakalay Bay and gazing out to the horizon, this villa takes the breath away with million-dollar views and five-star services and facilities. 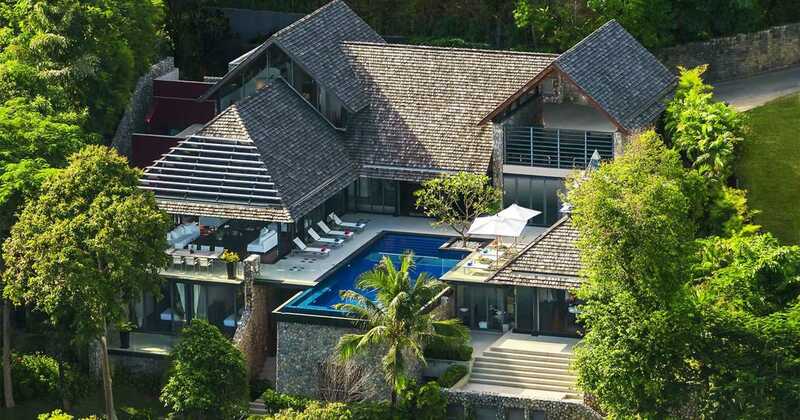 Like all of Samsara Phuket’s villas, Leelawadee is set across multiple levels that descend down the mountainside to the ocean. 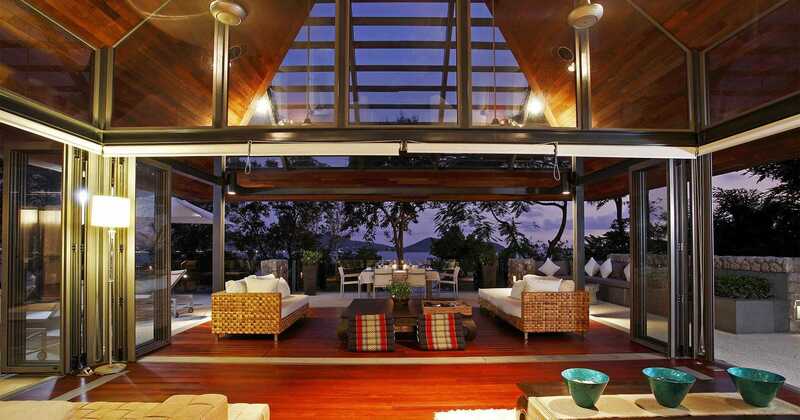 The main living area sits below the entrance, comprising a light-filled atrium that opens out onto a wide terrace, with every area bathed in views of sea and sky. Out on the terrace there’s an inbuilt barbecue, with ample space for an alfresco family feast. There’s a spacious covered sala for relaxing in, and the villa’s most eye-catching feature: a glittering 13-meter infinity pool. 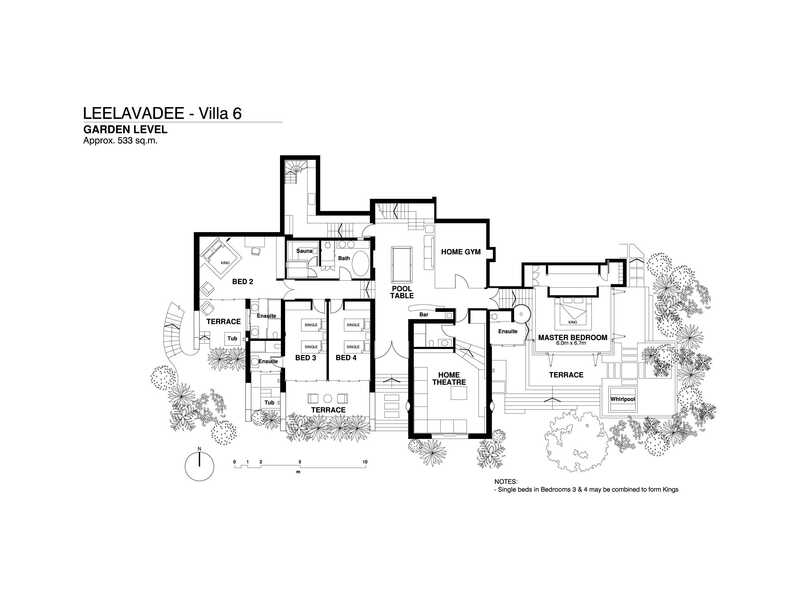 Downstairs on the garden level the villa’s 5 bedrooms look out over Leelavadee’s sloping lawn. The master bedroom and second bedroom both feature wide private balconies with sunken tubs, while the third and fourth bedroom have twin beds that are ideal for kids, each room with its own bathroom. A big home theater on this level also comes with its own ensuite and wide modular sofa that can be used to accommodate extra guests. 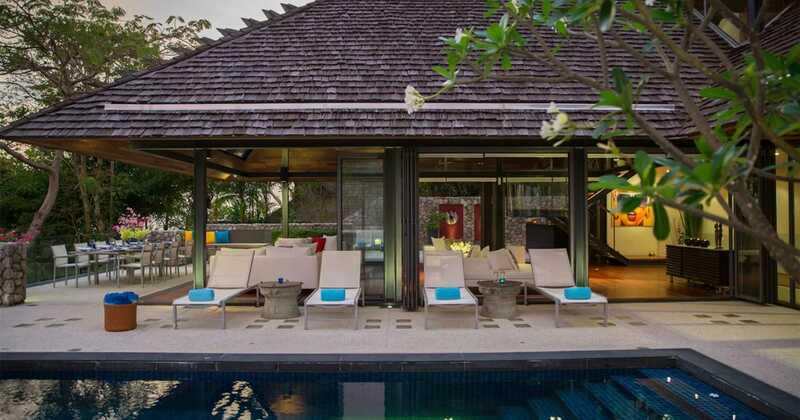 Leelavadee is the only villa at Samsara with its own gym, equipped with a full set of free weights, cardio machines and a TV. 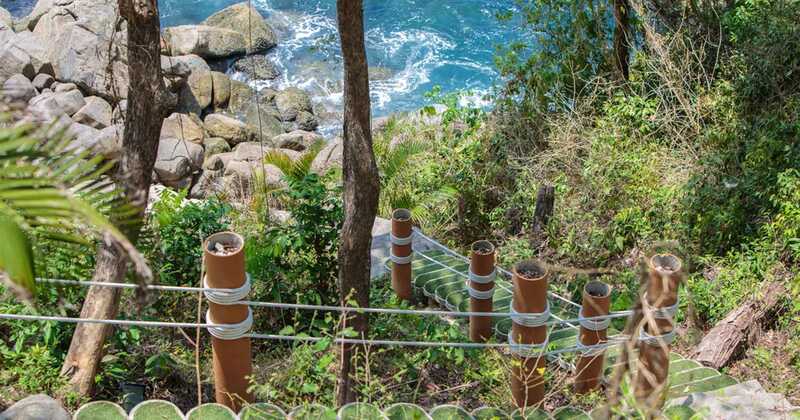 It is also the only one with a secret oceanside deck, accessible down a garden stairway that leads almost all the way to the sea. One of our more playfully decorated homes, Leelavadee’s whimsical character shows through in bright textiles, vibrant wall art and a candy-colored Vespa located on the entrance level. 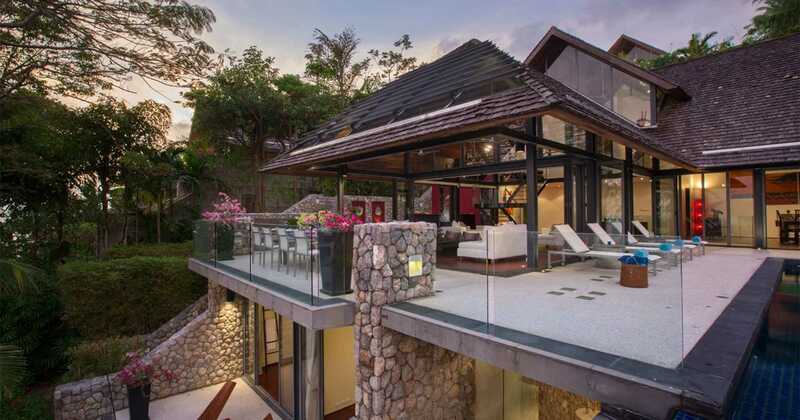 Leelavadee and Villa Hale Malia next door are connected via a side gate in the garden, making the pair an ideal solution for large groups traveling to Phuket together. 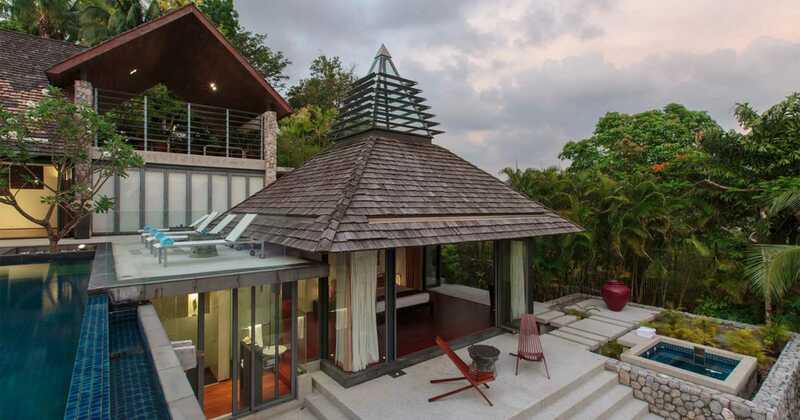 As is the case for all Samsara villas, Leelavadee comes with its own live-in staff – a chef and a housekeeper/butler, there to make your stay as pampered as possible. 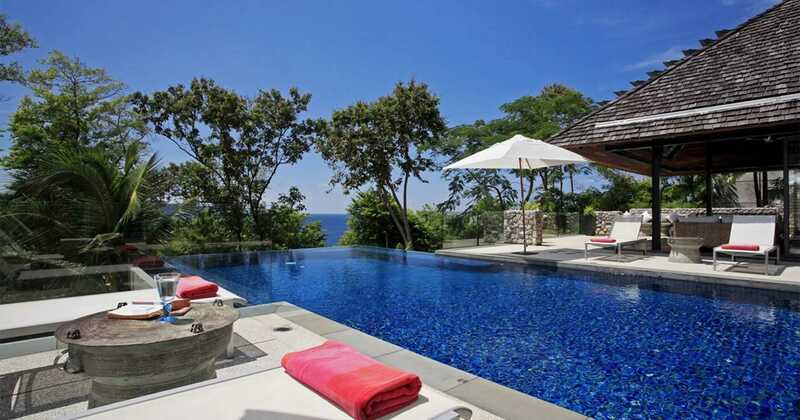 A villa concierge is also onsite every day to take care of all your travel arrangements. 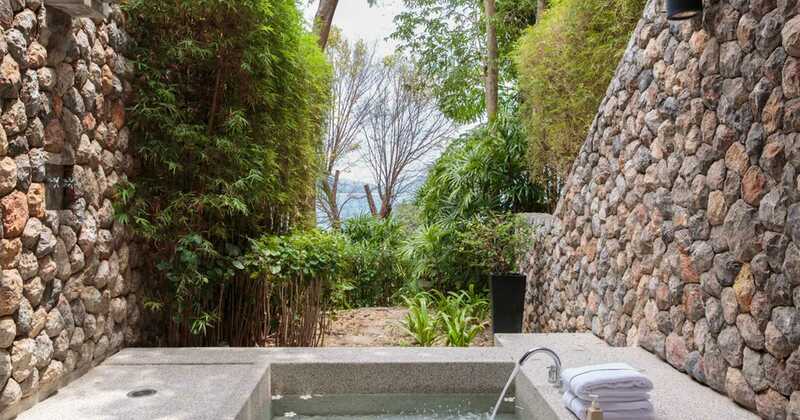 A hidden deck by the sea, a fragrant garden, a private terrace with a sunken whirlpool tub – Leelavadee has myriad features to lure lovebirds. 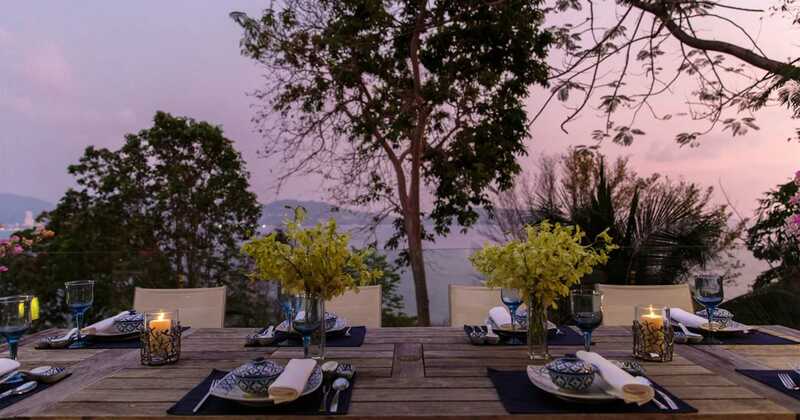 Spacious enough to host groups of couples and intimate enough for a single couple to feel at home, this villa can host a romantic getaway you’ll cherish forever. 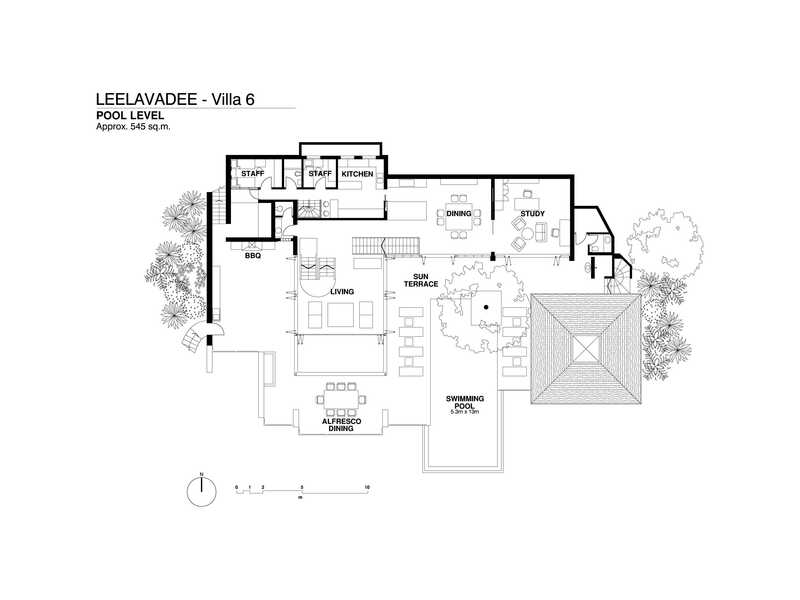 With a pool table, a spacious home theater with projection screen and quiet spaces for adults to escape to, Leelavadee is the vacation home you always dreamed of. A morning run on the treadmill, a lazy day by the pool, then a family barbecue as the sun sets – your days at Leelavadee are complete. 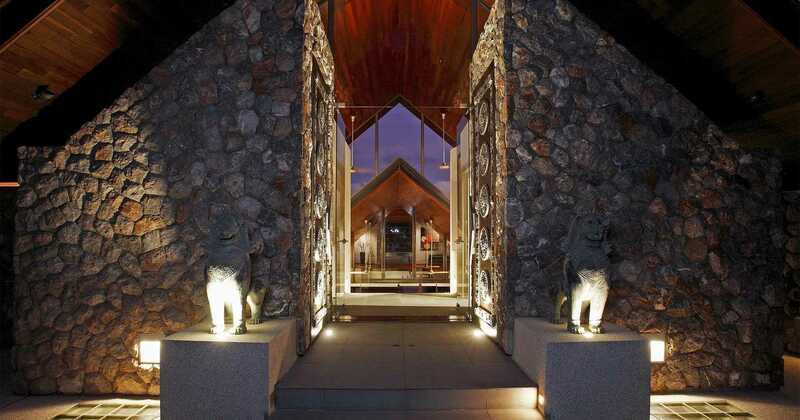 Leelavadee’s colorful decor and full gamut of leisure facilities make it a smart choice for corporate retreats. 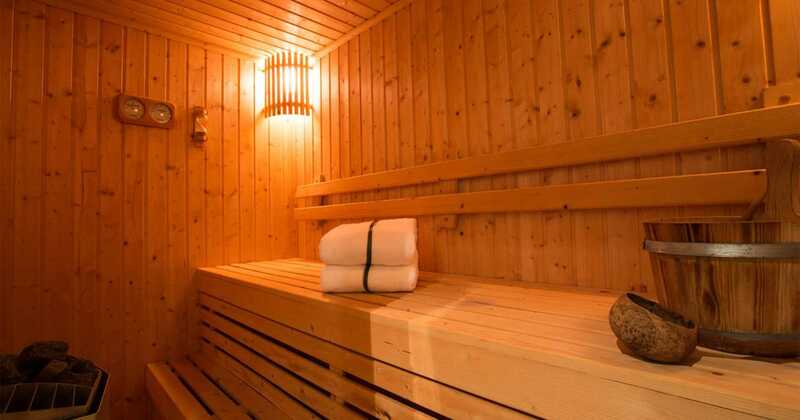 Your colleagues can stay refreshed with a dip in the pool or a session in the gym, while the pool table gives you a competitive way to unwind. 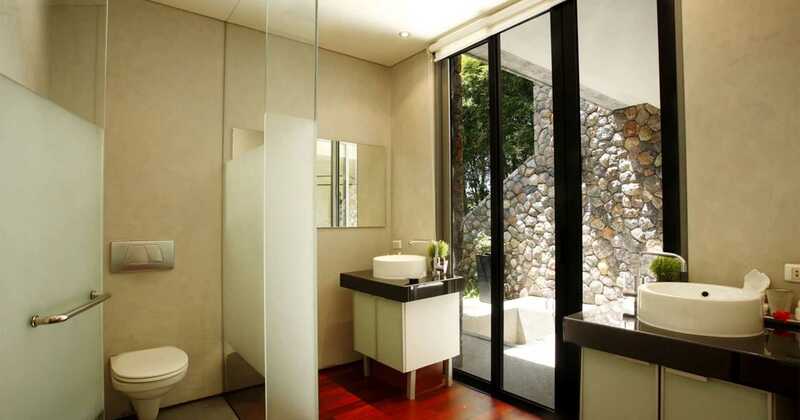 Then, when it’s time to get out and about, you’re only a short drive from the action of Patong. This is our first time in Thailand. 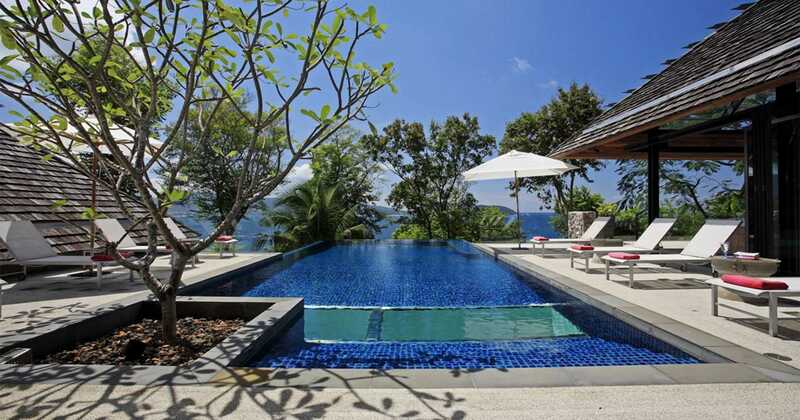 Phuket is a wonderful tropical paradise, complimented by this amazing villa and it’s dedicated staff. The service, hospitality and cuisine was impeccable. A great way to spend time with family, and celebrate the new year of 2017. We had an amazing time here. The food and service here were perfect. Definitely one of the mot memorable holidays we’ve had. Thank you.